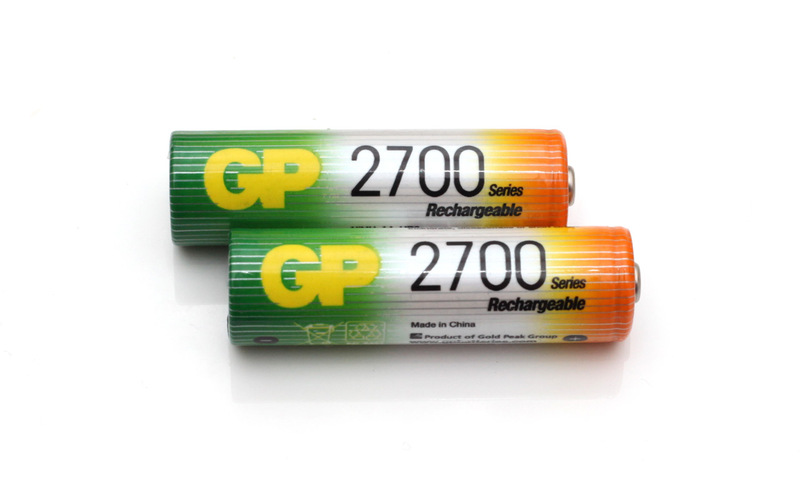 The 1.2V AA 2700 mAh GP NiMH batteries are the largest capacity NiMHs offered by the company and we are expecting to see good results from them. With GP’s batteries we’ve seen quite interesting results in our tests, some models are a bit disappointing, others are surprisingly good, but since we’ve seen varying results with the highest capacity NiMH batteries from different brands we are hoping that GP did not make any compromise with their top model at least. Starting the test of the 1.2V AA 2700 mAh GP NiMH batteries as we normally do with a low constant current discharge rate of 0.2A and the result was 2664 mAh as capacity which is great result for a battery rated at 2700 mAh (typical capacity), we can say that it is perfect. Furthermore increasing the constant current discharge rate at up to 2.0A the batteries continue to perform great offering great useable capacity levels. We can say for sure that the 1.2V AA 2700 mAh GP NiMH Rechargeable batteries are really good choice and are true to their ratings, unlike the not so well performing 2500 mAh model that we’ve tested some time ago that got us a bit disappointed.